A Stranger Earth: Dinosaur Survival In The Americas? Another story, a creationist favourite, comes to us from a 1883 letter to the Scientific American called "A Bolivian Saurian,"
"“Sir,—The ‘Anglo-Brazilian Times,’ March 24th, 1883, says that the Brazilian Minister at La Paz, Bolivia, has remitted to the Minister of Foreign Affairs in Rio photographs of drawings of an extraordinary Saurian killed on the Beni after receiving thirty-six balls. By order of the President of Bolivia the dried body, which had been preserved at Asuncion, was sent to La Paz. 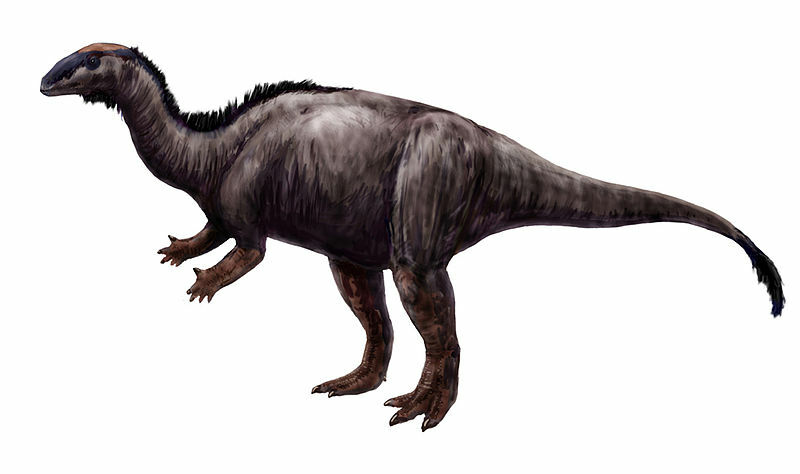 It is 12 metres long from snout to point of the tail, which latter is flattened. Besides the anterior head, it has, 4 metres behind, two small but completely formed heads rising from the back. All three have much resemblance to the head of a dog. The legs are short, and end in formidable claws. The legs, belly, and lower part of the throat appear defended by a kind of scale armour, and all the back is protected by a still thicker and double cuirass, starting from behind the ears of the anterior head, and continuing to the tail. The neck is long, and the belly large and almost dragging on the ground. Professor Gilveti, who examined the beast, thinks it is not a monster, but a member of a rare or almost lost species, as the Indians in some parts of Bolivia use small earthen vases of identical shape, and probably copied from Nature.”"
A possible overweight Bolivian sauropod (with multiple heads)? 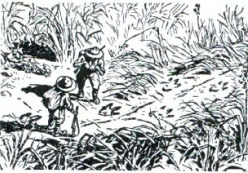 The fascinating adventurer Percy Fawcett also claimed to have encountered a sauropod, which he claimed was a diplodocus, along the Brazil/Peru border. This sighting occurred during a 1907 expedition on behalf of the Royal Geographical Society to map the border area. Fawcett is worthy of a post all to himself... check out his Wikipedia page and more info here. His son, Brian, later sketched the scene he imagined when he father saw the footprints of this large creature. Note the tail mark dragging in the ground, an artists imagination running away with him as current scientific opinion (and common sense) suggests dinosaurs, especially sauropods, didn't drag their tails! Another, more detailed, 1907 encounter by Franz Herrmann Schmidt can found here. Reports of this nature by explorers in the Brazil/Peru area in the first half of the 20th century are relatively common. Later in the century we get lots of more recounting of native stories of large Mokele-Mbembe like monsters. If you think the tales of dinosaurs in the jungles of South America are off-the-wall, just check out some stories from with the United States of America! So as always no evidence (surprisingly the Bolivian Saurian's corpse has never been located! ), but plenty of explorers tales!